A beautiful location in the midst of Kumaon hills, known for its various tal or natural lakes specially a banana shape Naini Lake which is best of all due to its stunning location and historic importance. Whenever we feel bored of hectic schedule and civilized lifestyle, the best way to revitalize ourselves is to venture into a natural place full of wonderness or go for exciting sports which will really raises the adrenal in body and settle all our negativity far-far below, for the same endeavor we planned our journey to Nainital and Jim Corbett national park at Ramnagar by own car. 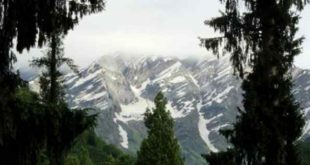 Nainital can be reached up-to Kathgodam Railway station by train and up-to Haldwani by Public transport, from these places you have to hire taxis to reach Nainital. We preferred going by own car to capture the scenic beauty of the surrounding places and add more fun to the trip. It is around 250 km from Haridwar to Nainital, if we bypass Haldwani, and the roads are more or less good. We took 5 hours to reach Nainital at 12 in the morning. This is the place from where actual climbing starts in Kumaon hills. 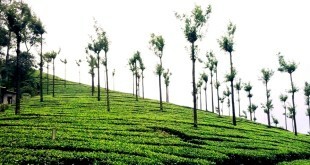 It is also a T-point for Ramnagar and Haldwani. 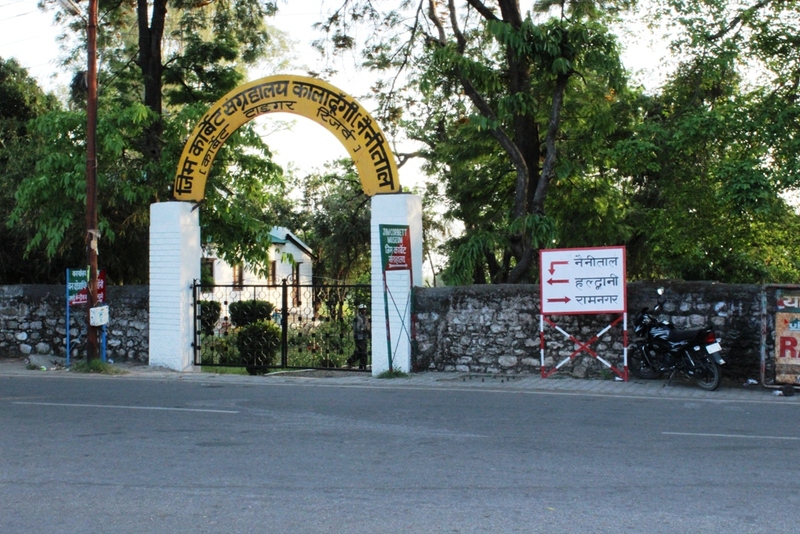 The place is also famous for a small Museum exhibiting souvenir of The Great Hunter Jim Corbett. It is situated just beside the road in the Juncture. It is worth visiting this museum especially for a jungle lovers thought it is not as big as it should be, but there are short information with pictures about the Great Man who once ruled the hearts of Jungle people and villagers through his courage and kind hearted nature. We stopped at Kaladungi for a while to purchase some Guavas and then move ahead towards Nainital leaving behind museum to come again while returning on the way to Ramnagar. The roads for Nainital was awesome but curvy, there were steep climb at some points and more scenic and naturals. 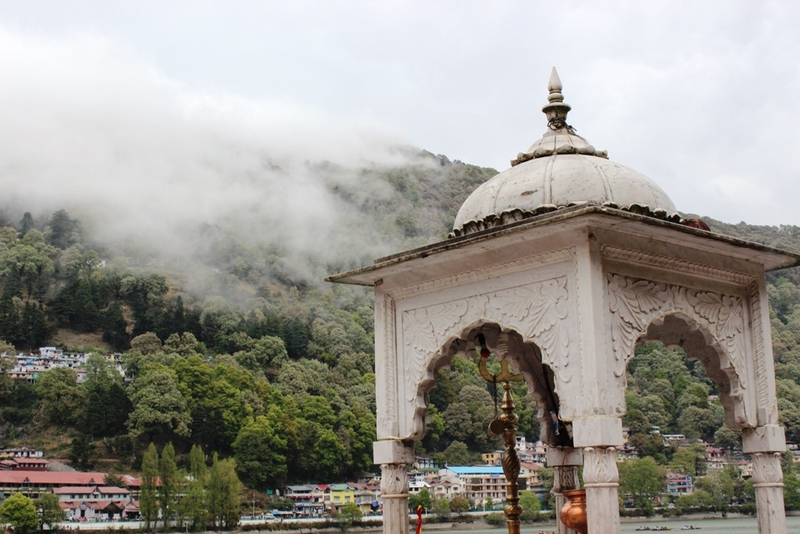 It was raining when we reached Nainital. I had pre-booked hotel online in Nainital. I called up the Hotel reception and enquired for the direction. It is always advisable to enquire about the correct route in hilly areas where roads are narrow and most of the roads are one-way. 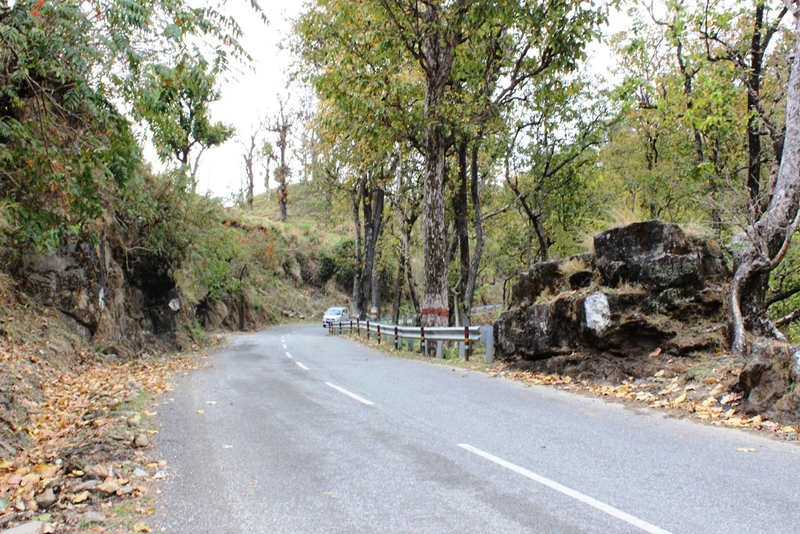 I pressed the accelerator gently to move up the hill as conveyed to me by the Hotel….totally unaware of the risky and breathtaking driving experience which I was about to had that would drench me out of sweat in the chilly weather. I drove on a concrete road, much narrower and steep with lots of turns that finally led to the top of the hill almost half the distance of Gun hill point. As soon as I reached the hotel and met the hotel staff the first service I asked was to drive my car to a manageable road while returning. We had a stomach full lunch in hotel and a few hours of rest before we started again for the sightseeing. The hotel gave us pick and drop facility up to the city bazaar, so I need not break my head and harden my nerves to roll my sedan on those narrow and curvy roads of Nainital, instead I given it for a wash. We were dropped near Naina Devi temple in a alto car very much suited for the kind of roads. We visited The Naina Devi Temple very famous as one of the Shakti peetha. It was chilly cold we were facing difficulty to walk bare foot on the floor. We did some pujas and spend some time near the lake taking photographs and watching shoaling fishes on the lake. It is a magnificent lake, very beautiful due to its location. There are high hills on two sides of lake, and the mist clouds are often seen falling from these lush green hills which make the beautiful sikara ride on the lake even much heavenly. We also enjoyed the sikara (narrow boat) ride sitting straight without much movement, as the sikara was so narrow that we some time scared of falling on lake and the lake water was so cold that touching of water was more scary than the drowning in water. We were told that the lake water never dries and is very pure and can be drink. 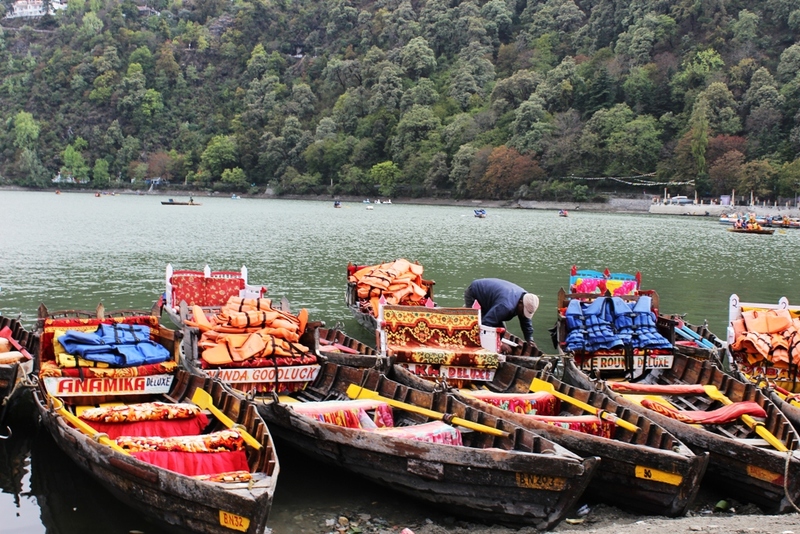 After enjoying the boat ride, we booked a taxi for other sites of Nainital. There are brokers, agents roaming everywhere to lure you for their service. We were also approached by one, we bargain with second and finally a third guy came with his Alto for our service. He was a teenager wearing funky attire politely asked us to seat in his car, as soon as we sat inside he played loud Honey Singh songs us drove us to the streets of Nainital hills. His driving was skilful and safe. He first took us to the top of hill from where we could see the Himalayan ranges which we could not. It is only seen in October November month, but the view was really awesome. The second place he took was a nice view point from where we were able to see the whole Naini Lake and a perfect view of Nainital city. 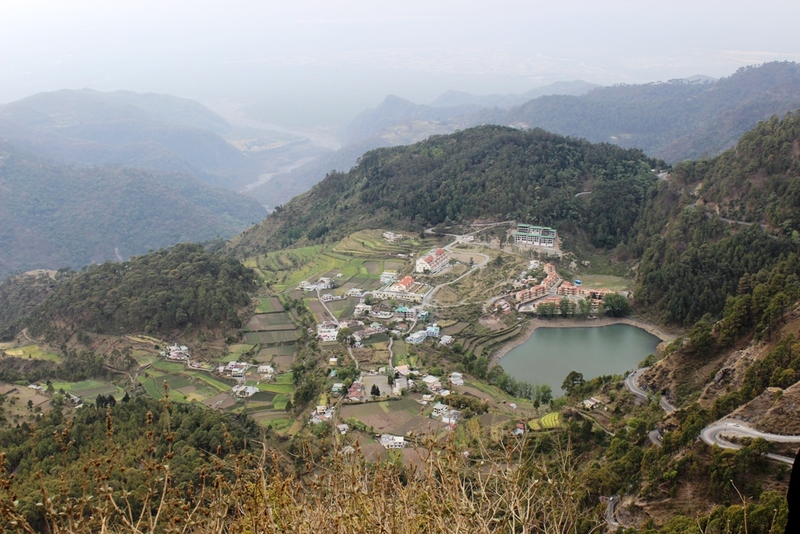 The banana shape of Naini Lake was quite visible from this point. Third place was a Sukha Tal or a dried up Lake. Fourth was a top view of Khurpa Tal, it is a Lake in the shape of a cattle feet. Fifth was a Lovers Point or Suicide point, nothing special about it, but we took some photographs here. It was already dark and our local trip was coming to an end. Finally he dropped us near Mall Road. 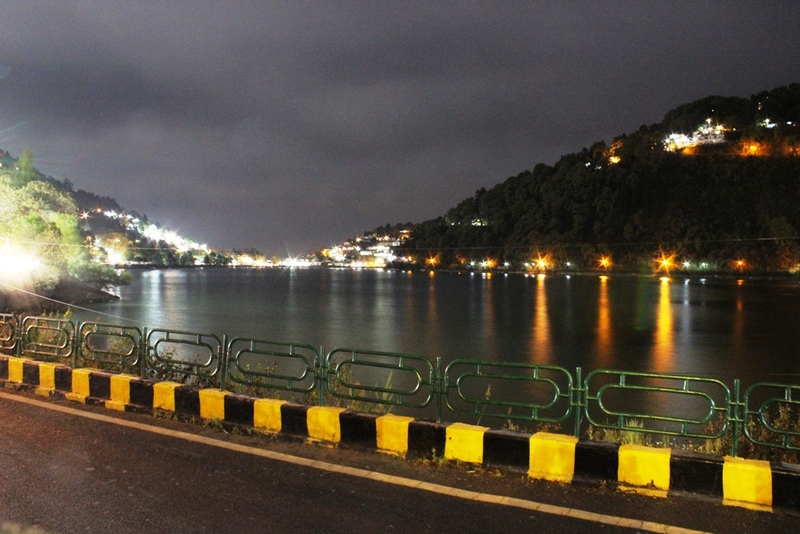 The beauty of mall road of Nainital is that it is situated along the bank of Lake. Walking along the side of lake and enjoying street food is most fascinating that we felt. We did some shopping in the market and had dinner before I called up hotel for the pickup. We were enjoying the place, the crowd in the mall road and the beauty of the Naini lake in night, and wanted to spend some more time and witness such a beautiful creation of nature, but we had ended of time. 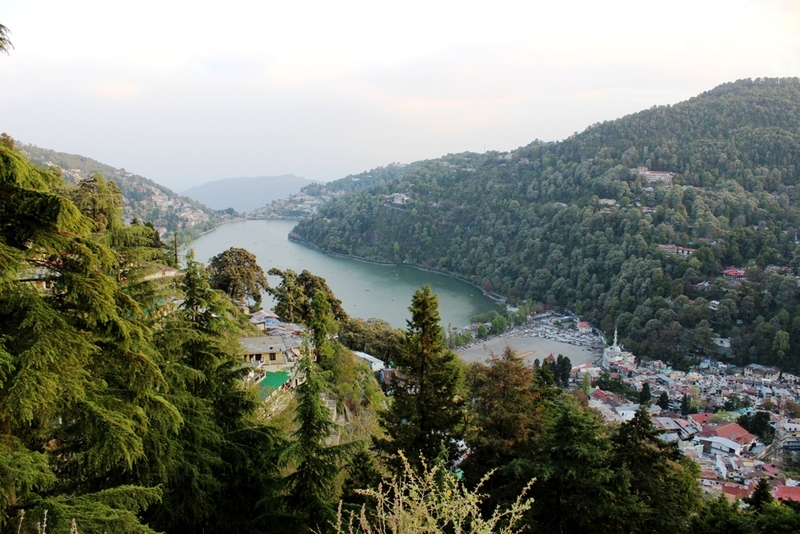 The next day we had plans to visit two more famous Lake of Nainital i.e Bhimtal and Naukuchiatal. We reached Bhimtal by 10:00 and stopped for a while. 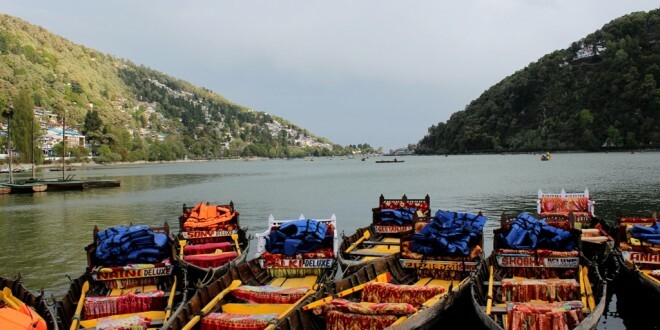 Bhimtal is a big lake not narrower like Naini lake and here one can find much area for boating. The straight road from here goes to Naukuchiatal and a right turn goes to Ramnagar which we had to reach by evening, so thinking to see Bhimtal while return we moved ahead towards Naukuchiatal. 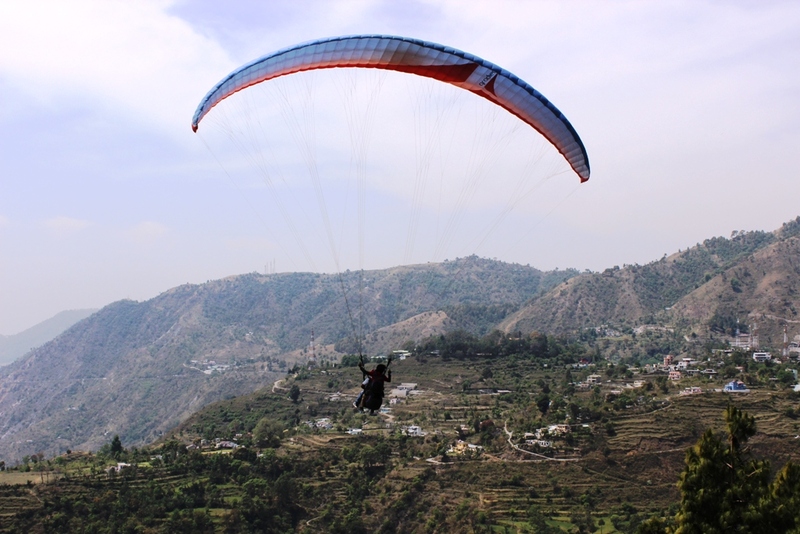 Naukuchiatal is famous for two things one is its stunning location and a beautiful lake because of which Club Mahindra has chosen for its Resort and second is ideal site for Paragliding. At first we went to the paragliding site, we had already fixed the charges i.e 1500/- per person with an agent that we met on the way. After enquiry we came to know that the total time of flight will 5 to 20 minutes depend upon the speed of wind. We were very excited to feel the thrill of flying and our excitement subside our fear. One by one all four of us jumped from the hill meant for flight take off, wearing all harnesses and off course the pilot tied together and guiding from behind. I know you will ask whether I was afraid or my wife was screaming in sky …..Well I would say No… and at the end all were more excited and spirited. 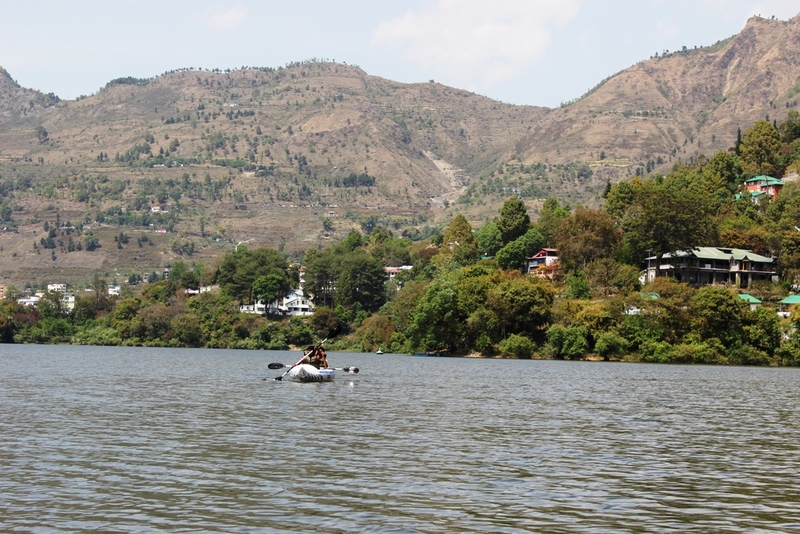 After thrilling experience it was time for a peaceful and relaxing boat ride in Naukuchiatal. It was not far from the paragliding site we were even able to watch paragliders while boating. 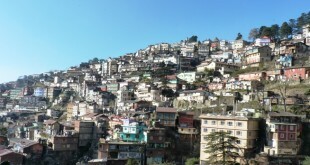 The Naukuchiatal has great location and wonderful natural beauty. We all enjoyed boat ride for half an hour and then sat together on a nearby restaurant for lunch.